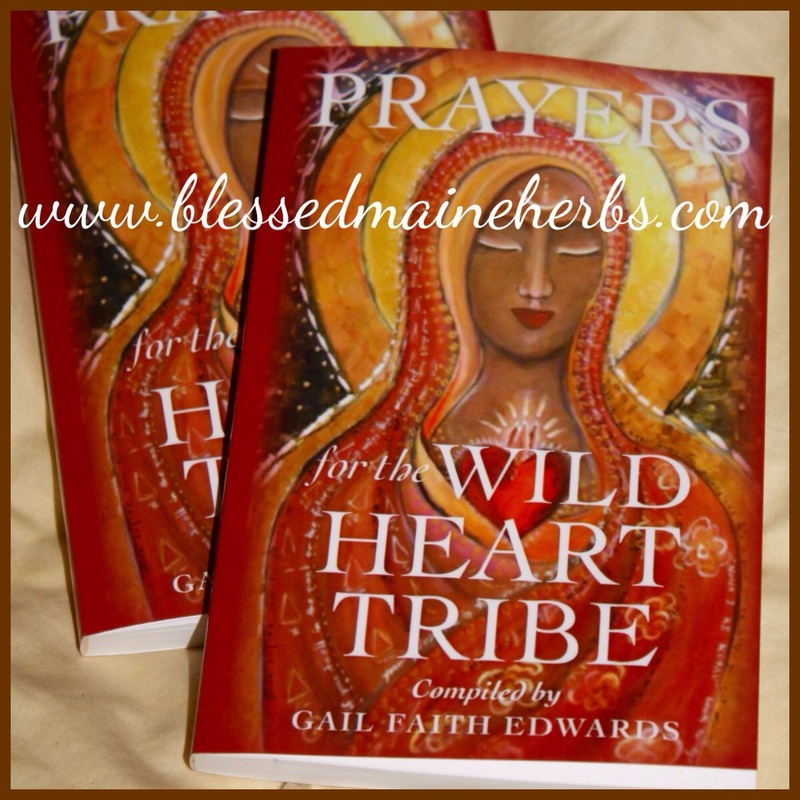 Home > PRAYERS FOR THE WILD HEART TRIBE - shipping included in price. The Wild Heart Tribe is all who love and honor the living Earth as our Mother. We love and honor the Divine Feminine. We pray with reverence for all life, for all of creation. We give thanks. We pray for peace. We open our wild hearts, nourish our intuition, heal with plants, develop our talents and give back to our communities. We are the Wild Heart Tribe and these are our prayers. We're pleased to announce the publication of a beautiful prayer book, a precious offering from the wild hearts of many...from across time, from all cultures, belief systems, traditions and geographical locations around the world. Herein you will find earth honoring prayers, prayers of praise and thanksgiving, and prayers of devotion to Mary and to our Old World Goddesses. Inspired by the tradition of medieval prayer books, the book is richly illustrated, 152 pages, with full color inside and out! Shipping April 1, 2015. $20 includes shipping.